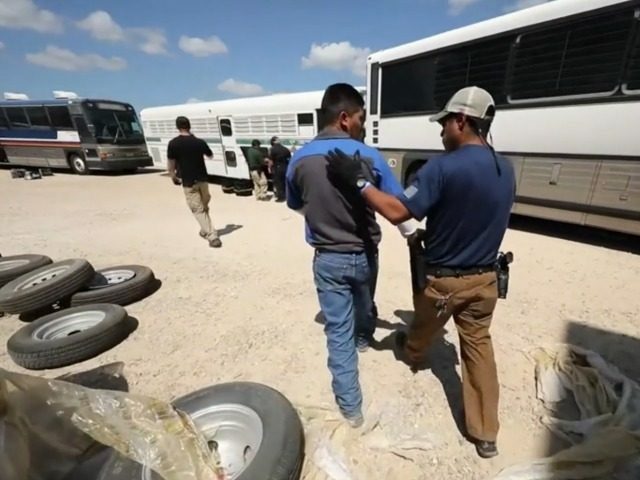 President Donald Trump’s enforcement officials have sharply boosted the repatriation of non-criminal illegal migrants in the nine months up to July 2018, says the Associated Press news service. The policy also drives up real estate prices, widens wealth-gaps, reduces high-tech investment, increases state and local tax burdens, hurts kids’ schools and college education, pushes Americans away from high-tech careers, and sidelines at least 5 million marginalized Americans and their families, including many who are now struggling with opioid addictions. Immigration also pulls investment and wealth away from heartland states because investment flows towards the large immigrant populations living in the coastal states.